Conference Presentation Videos have been uploaded to the NIBA Virtual Data Room with Prosperity Systems. Login here to view. 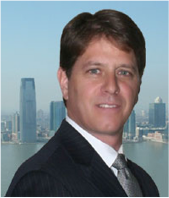 Videos of NIBA 2015 March New York Conference Speakers Marc Ross, Esq. – “The Business of Marijuana” and Sunny Barkats – “Reverse Mergers/Alternative Financing for Small Cap Public Companies” have been posted on the NIBA Blog. These videos are also available on our NIBAVideo YouTube channel. Glen Var Rosenbaum, President & CEO, Corvus Technologies, Inc.
Gerry McIlhargey, Chairman, President and CEO, – St. Joseph, Inc.
Jeffrey Brumfield, Chairman, President and CEO – CDEX Inc.
Marc J. Ross is a founding partner of Sichenzia Ross Friedman Ference LLP. Mr. Ross represents clients (public and private companies, brokerage firms, registered representatives, high net-worth individuals, and hedge funds) throughout the United States, North America, Asia, Europe and Israel. Mr. Ross advises clients on securities, corporate, regulatory and litigation/arbitration matters. In the securities and corporate area, Mr. Ross advises companies, mainly small to mid-cap public companies, with their 1934 Act reporting requirements as well as their NASDAQ, AMEX and NYSE and other exchange listing and compliance matters. He also assists companies wanting to go public, whether through a reverse merger, initial public offering, or company offering, and advises clients on a wide range of investment and capital raising transactions, including private investments in public equity transactions (PIPEs), initial public offerings (IPOs), registered direct offerings (RDs), and shelf offerings. In the litigation and regulatory area, Mr. Ross represents clients in commercial/securities litigation and arbitration matters nationwide from routine lawsuits to complex cases, including multi-district litigation, class and derivative actions, injunctive actions, and arbitration proceedings conducted through FINRA, the AAA, and JAMS. Mr. Ross also counsels clients through the arduous and often frustrating process of civil regulatory and possibly criminal investigations, whether the client is the subject of an investigation by a self-regulatory organization, a state agency, or a federal agency. In particular, he regularly appears before the SEC, FINRA, and state securities agencies in connections with investigations, including responding to FINRA 8210 requests, appearing for On-The-Record examinations, preparing “Wells” submissions, negotiating Acceptance, Waiver & Consent agreements, and defending clients in enforcement proceedings.